I've mentioned before that we intentionally live a simple life. As simple as possible, anyway. And this week, I just want to spotlight some simple pleasures. It's easy for us to worry about this, that, and everything else. Don't be worried. 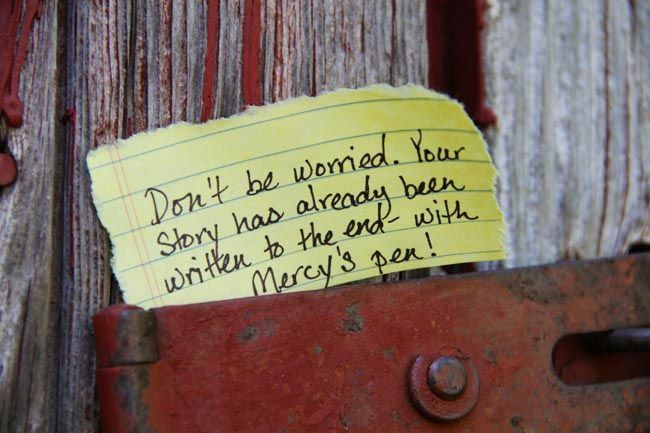 Your story has already been written to the end - with Mercy's pen. I love this post! perfect. It isn't my story that worries me, as a mother I fret my life away worried about my chilrens' stories. What a beautiful reminder! So thankful for mercy and grace! !